Vermont and eight other northeastern states and the District of Columbia will develop a regional plan to cap and reduce transportation fossil fuel emissions, a Washington, D.C., environmental group announced yesterday. 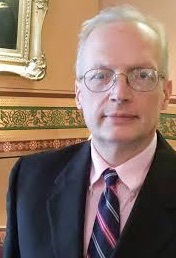 Guy Page is affiliated with the Vermont Energy Partnership, the Vermont Alliance for Ethical Healthcare, and Physicians, Families & Friends for a Better Vermont. Vermont already belongs to a similar multi-state agreement for electricity generation, the Regional Greenhouse Gas Initiative (RGGI). However, there is a crucial difference: Under RGGI, Vermont is a winner because it burns very little fossil fuel instate to make electricity. But with transportation, the opposite is true. Because Vermont is a cold-weather, rural state where drivers prefer relatively gas-guzzling all-wheel drive vehicles, Vermonters — especially rural Vermonters — would be losers in any scheme that financially punishes high per capita consumption of gasoline and diesel. “A coalition of nine Northeast and Mid-Atlantic states and the District of Columbia today announced their intent to design a new regional low-carbon transportation policy proposal that would cap and reduce carbon emissions from the combustion of transportation fuels, and invest proceeds from the program into low-carbon and more resilient transportation infrastructure. The TCI is the work of the Georgetown Climate Center, an environmental program of Georgetown Law School in Washington, D.C. The TCI held six public “listening sessions” in the northeast earlier this year, but none in Vermont, its website said. TCI said government officials from Vermont attended some listening sessions. As of 3 p.m. Wednesday, neither the Vermont Agency of Natural Resources nor the office of Gov. Phil Scott had issued statements about Vermont’s participation in the TCI. “Cap and trade” is a complicated, corruption-prone fig leaf for a carbon tax. The coalition will assign an arbitrary government cap on fossil fuel users. If they use more than the cap, they will have to buy funny money credits that the RGGI coalition has bestowed upon – wait for it – its participating governments! The cost of buying the funny money credits is passed on to consumers of the fossil fuel products – in transportation, mostly gasoline and diesel fuel users. They pay the TAX. Who gets the proceeds? The sellers of the credits, state governments that obtained the funny money credits for free! What to do the governments do with the proceeds? Whooopee! Money to spend on more subsidies for the Renewable Industrial Complex! Thank you, Carbon Tax! Where did the authorization come from to be signatory to such a thing? I do not believe the extreme costs of this scheme, if enacted will stop with the original hits. Those hits will keep compounding over time to drive citizens such as ourselves, who worked all our lives, saved for retirement, managed to pay off a mortgage, raise a family, into poverty to a point of owning nothing. I believe also this is by design, another way to get to Socialist reality. We had really better watch this one. By the way, what will property be worth in the scenario just outlined? This sounds like the Democrats found a way to create a carbon tax with out having to vote for one because that would have put them in the spotlight and a target for criticism. Have you purchased your yellow vest? On December 18, 2018, a coalition of nine Northeast and Mid-Atlantic states and the District of Columbia announced their intent to design a new regional low-carbon transportation policy proposal that would cap and reduce carbon emissions from the combustion of transportation fuels, and invest funds (taxes, fees and surcharges imposed by the program) into low-carbon and more resilient transportation infrastructure. Connecticut, Delaware, Maryland, Massachusetts, New Jersey, Pennsylvania, Rhode Island, Vermont, Virginia, and Washington, D.C., endorsed the statement. New Hampshire, New York and Maine did not. The statement describes the goals the program, including reducing climate changing pollution, creating economic opportunity, and improving transportation equity for currently underserved and overburdened populations. Rural and poor people would get subsidized EVs and chargers. The statement also sets a goal of completing the policy design process within one year, after which each jurisdiction would decide whether to adopt and implement the policy. The Transportation Climate Initiative, TCI, is directed by state and district agencies located within the TCI area. Each jurisdiction would be free to determine whether and how they would participate in individual projects and working groups. “We estimate that at modest allowance prices that would cost the average driver $6 per month ($72/driver/y), the program could collect approximately $3.5 billion to invest in clean transportation investments,” writes Jack Kimmel, president of the Union of Concerned Scientists. If the TCI is approved, the agreement would be modeled after the Regional Greenhouse Gas Initiative, a nine-state regional “cap-and-invest” system for power plant emissions known as RGGI,” adds Abel. RGGI includes six of the nine states that signed the transportation agreement: Connecticut, Delaware, Maryland, Massachusetts, Rhode Island, and Vermont. Under RGGI, regional emissions are to be capped at about 78.2 million tons of CO2eq/y in 2020 and about 55.7 million tons in 2030. The 2030 goal represents a 65 percent reduction from 2009 levels. Transportation Fuel Distributors: Distributors of transportation fuels* in the nine states and D.C. would be required “to buy pollution permits [or allowances] for some of the carbon they produce,” writes David Abel, environmental reporter for the Globe. * Compressed natural gas, propane, gasoline, diesel fuel, etc. Would aviation fuel be included? Fuel allowance revenues would be spent by the 10 jurisdictions for a variety of low carbon transportation programs that would be selected by each jurisdiction, “including public transit, carpooling and driverless car services, subsidies to accelerate the adoption of electric vehicles, and new bike lanes,” notes Abel. The plan, which is still being negotiated, could place a ceiling on the amount of carbon that could be emitted by transportation fuel distributors. The states would gradually lower that ceiling and reduce carbon emissions. – Seek revenues in other markets, such as recharging electric vehicles and hydrogen fuel vehicles. Just another way to milk us out of more of our hard earned bucks. Tax, tax and more tax. They knew they’d have a fight on their hands with a carbon tax so they found a way to work around it. I didn’t see New Hampshire on the list of States. Another good reason to head East. Still in litigation w/ NH, Feds, Mike has a slew of videos posted re corruption there: drugs/collusion, corrupt judges, lawyers, local officials, FBI, State/local cops…and more. NH sounds good until ya look closely. Better the devil you know? Who decided that Vermont would participate? It seems to me such an announcement should be made by Governor Scott, as no one else has the authority to make that kind of expensive, multi-decade commitment. – Bicycle paths at $2 million per mile. All of Vermont would be paying for bicycle paths for Vermont’s larger urban areas. – Moving tens of thousands of lower income households from rural areas into highly insulated, highly sealed apartment buildings closer to urban centers so mass transit would be more fully utilized. Those apartment buildings would have heat pumps for heating and cooling, or be heated with biofuels. …and the people more readily controlled. As laid out in UN Agendas 21 and 2030, this has been in the works for some time now, along with the Wildlands Project meant to greatly restrict entry by the people onto public lands.